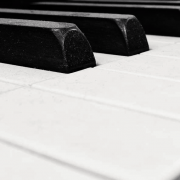 Imagine a musical journey that spans centuries and crosses the Atlantic from France to Quebec, then follows the St. Lawrence and Great Lakes to the Wabash valley, and down the Mississippi to Louisiana. 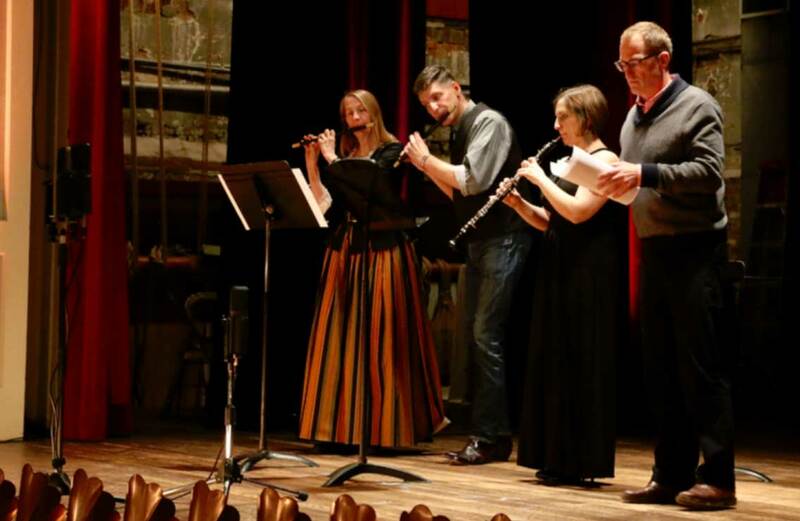 Now imagine that you took a musical snapshot at points along your journey, and that’s what we heard when the New Harmony Music Festival and School presented “From the French Court to the Cajun Kitchen. 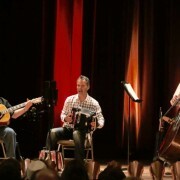 Christopher Layer, ToniMarie Marchioni, and Matthew O’Neill shared the stage with Michael Lewis and Denise Wilson of Traveler’s Dream and Paul Gregoire’s Cajun accordion accompanied by Wade Bernard, and Roger Barhart. Let’s dance and sing to warm the soul in December!!! 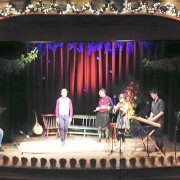 Christmas In Appalachia: Celtic Roots & Mountain Rhythms will feature the remarkable talents of the world-renown “dance instrumentalist” Nic Garreiss, old-time fiddler and singer, Brittany Haas, hammered dulcimer virtuoso, Simon Chrisman, and Sting side-man, Irish uillean piper, and Flutist, Christopher Layer. Stay tuned for more updates on the event and workshop activities during their visit to our festival and town!